These are some of the key findings of a joint research report by a team from the World Bank and the Development Research Center of China’s State Council, which lays out the case for a new development strategy for China to rebalance the role of government and market, private sector and society, to reach the goal of a high income country by 2030. The report, “China 2030: Building a Modern, Harmonious, and Creative High-Income Society”, recommends steps to deal with the risks facing China over the next 20 years, including the risk of a hard landing in the short term, as well as challenges posed by an ageing and shrinking workforce, rising inequality, environmental stresses, and external imbalances. “China’s leaders have recognized that the country’s growth model, which has been so successful for the past 30 years, will need to be changed to accommodate new challenges,” said World Bank Group President Robert B. Zoellick. “China has an opportunity to avoid the middle-income trap, promote inclusive growth, without further intruding on the environment, and continue its progress towards becoming a responsible stakeholder in the international economy,” he said. The report lays out six strategic directions for China’s future: completing the transition to a market economy; accelerating the pace of open innovation; going “green” to transform environmental stresses into green growth as a driver for development; expanding opportunities and services such as health, education and access to jobs for all people; modernizing and strengthening its domestic fiscal system; and seeking mutually beneficial relations with the world by connecting China’s structural reforms to the changing international economy. “Central to the report’s findings is the need for China to modernize its domestic financial base and move to a public financial system-- at all levels of government -- that’s transparent and accountable, overseen by fewer but stronger institutions, to help fund a changing economic, environmental, and social agenda,” Zoellick said. There is growing recognition, supported by the findings of the research report, that China’s growth will decline gradually in the years leading to 2030 as China reaches the limits of growth brought about by current technologies in its current economic structure. The report advocates Chinese policymakers should shift from a focus entirely on the quantity of growth to include the quality of growth as well. The report makes the case for the government to redefine its role -- to focus more on systems, rules and laws -- to boost efficient production, promote competition, and reduce risks. It recommends redefining the roles of state-owned enterprises and breaking up monopolies in certain industries, diversifying ownership, lowering entry barriers to private firms, and easing access to finance for small and medium enterprises. Reforms should include commercializing the banking system, gradually removing interest rate controls, deepening the capital market and further developing independent and strong regulatory bodies to support the eventual integration of China’s financial sector within the global financial system. Financial reforms in the next two decades should be decisive, comprehensive and well coordinated, following a properly sequenced roadmap. A priority is to liberalize interest rates according to market principles. On land reform, priority should be accorded to protect farmers’ rights over agricultural land, expanding land registration and rental rights. 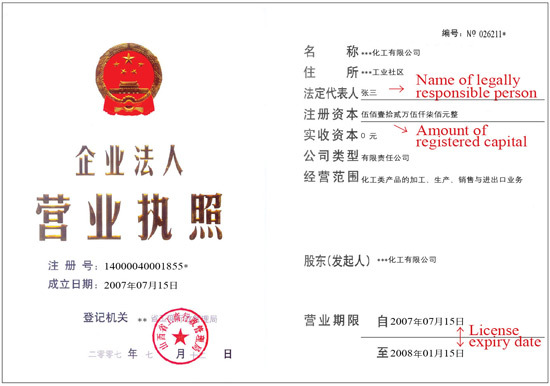 To assist with labor reforms, changes in the residency permit system – the hukou – are a priority. While progress on hukou reforms will depend on fiscal reforms that balance revenue raising and spending authorities across different levels of government, it should begin and be completed by 2030. To accelerate the pace of innovation, the report advocates greater efforts to build countrywide research networks, steps to improve the quality of tertiary education and links with global networks, supported by a stronger rule of law and intellectual property rights enforcement. It says such an open innovation system would be a prerequisite to benefit fully from global innovation links. For China to advance the “going green” development agenda, it will need to look at long term market incentives to encourage enterprises and households to go green. This should include more public investments, and the better design and enforcement of regulations to complement market incentives, such as taxes, fees, tradable permits and quotas, and eco-labeling. 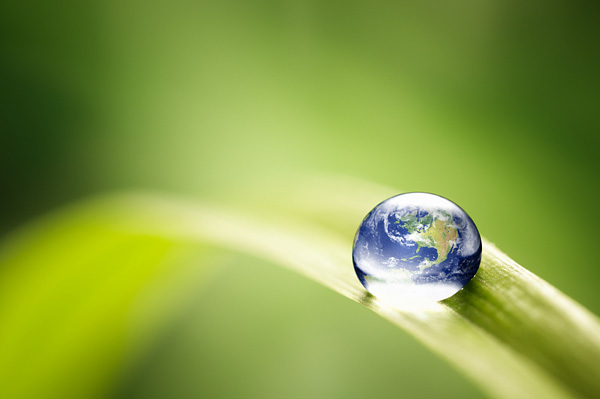 China can establish itself as a global green technology leader by implementing stringent and effective policies to reduce greenhouse gas emissions. Stringent emissions reduction policies, such as carbon trading or carbon taxes, could spur innovation in green technologies. To reverse rising inequality, the report says China will need to focus on a social protection system appropriate for China in 2030, with a special emphasis on the poor. It lays out the case for “flexicurity”. This can include reforms in pension and unemployment systems so workers have reasonable support in their old age or when jobless. This can ensure comprehensive coverage of pension insurance, especially for rural people and migrant workers in cities. The report also warns that extending the current level of urban services and social protection to rural residents and migrants -- well over half the population -- will pose a significant fiscal burden and should be implemented prudently. To fund China’s priorities in the decades ahead, and to deal with external shocks, the report calls for further fiscal system reforms. These should include improving the efficiency of raising revenue and changing fiscal relations between different levels of government as well as strengthening the efficiency of public spending. There is untapped potential for revenues through higher taxes on energy consumption, taking dividends from state-owned enterprises, and levying taxes on personal incomes, motor vehicles, and property. The report proposes a sequencing of reforms, as well as quick wins and actions to address short term risks. Support for reforms will be stronger if the plans are based on full participation throughout all levels of society. The biggest risk is that vested interests will try to thwart reforms. As a key stakeholder on the global economy, China can consider how its structural reforms relate to rebalancing changes globally. China should support free trade and back a multilateral agreement on investment. China’s long-term interests lie in global free trade and a stable and efficient international financial and monetary system, relying on multilateral frameworks to help shape the global governance agenda. 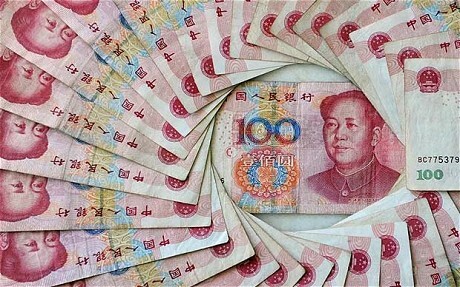 China’s growing weight in world trade, the size of its economy and its role as the world’s largest creditor will make the internationalization of China’s renminbi inevitable. Acceptance of the RMB as a major global reserve currency will depend on the pace and success of financial sector reforms and opening of its external capital accounts. Firstly, consider what your company’s objectives are in China and carefully research your target market before developing a formal business plan. Discuss your strategy with a local representative who understands the market and economic conditions. Consider the unique selling points of your product or service and whether there is actually a market for that product or service in China. If there is, you need to ensure you can be competitive in China and, more importantly, whether you have the time, resources and stamina to handle the demands of communications, frequent travel, product delivery and after-sales service. All foreign investments need to be registered with the appropriate local and state authorities, which can be time-consuming and bureaucratic. Exporters will also need to deal with Chinese tax, accountancy and employment law, and China’s transport infrastructure and commercial legal system. Understand the basic Chinese regulations which govern your industry or investment in China. Companies are often constrained in how flexible they can be due to the regulatory environment. It is recommended that you have a website including product description, indicative FOB price, and unique selling points for your product or service. It may be helpful to talk to other Australians with business experience in China, for example, Australia China Business Council members in Australia; China Australia Chamber of Commerce members in China and Austrade’s network of export advisers in both Australia and China. The Internet can be an invaluable tool when it comes to researching country and market information before you even begin to formulate your strategy. Always seek good quality independent legal, tax, and professional advice before signing anything that could have implications for your company. If you are setting up in China, it is important to get the business and tax structure right from the start. 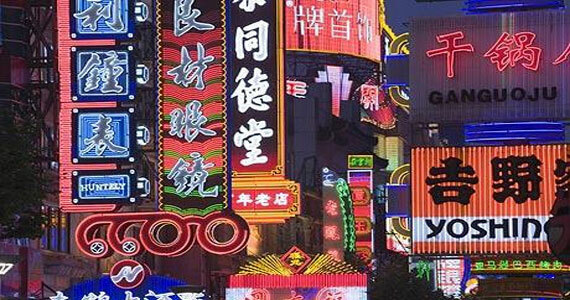 Use a qualified legal firm with a presence in China to review all contracts. Failure to gain full information about a potential partner’s credit and professional background could lead to serious problems further down the road. If you are concerned that your product is in danger of being copied, seek legal advice on how best to protect your intellectual property (IP). Halve your expectations, and double your time and budget. Chinese business people prefer to establish a strong relationship before closing a deal. Be prepared for tough negotiations and to deal with grey issues. Be firm, polite, and creative, but be prepared to say no. Building up good business relationships and trust is very important in China, so expect to spend a lot of time at meetings and banquets with your potential business partners. Business meetings always start promptly, so it’s important to arrive early for the standard formal introductions. It is usual to be introduced to the most senior person at the meeting first, followed by the others in descending order of seniority. A handshake is the standard way to greet men and women, whatever their age or seniority. Note that the Chinese respect their elders, so an extra show of courtesy in the presence of an older person will reflect well on you. Business cards (ming pian) are essential in China, and it’s a good idea to have your card translated into Chinese on the reverse side. Present your card with both hands with the Chinese side face up. It’s a sign a respect to spend a few moments examining the business cards you receive rather than putting them away immediately. When meeting potential business partners, it is helpful to know some Mandarin. Simple phrases such as ‘Ni hao’ (hello) ‘Zao shang hao (good morning) and Xia wu hao (good afternoon) can go a long way. Note that surnames are placed first, eg. Mr Yao Ming should therefore be addressed as ‘Mr Yao’. A great deal of business in China is conducted over dinner, where very senior people may attend who were not at previous negotiations, but are key to the approval of a business deal. However, business dinners or lunches can also indicate a general warming of a relationship, and in this case, their role should not be over-stated. Never begin eating or drinking until you host does. It is polite to try all dishes that are offered to you, but you can discreetly leave anything you don’t like at the edge of your plate. 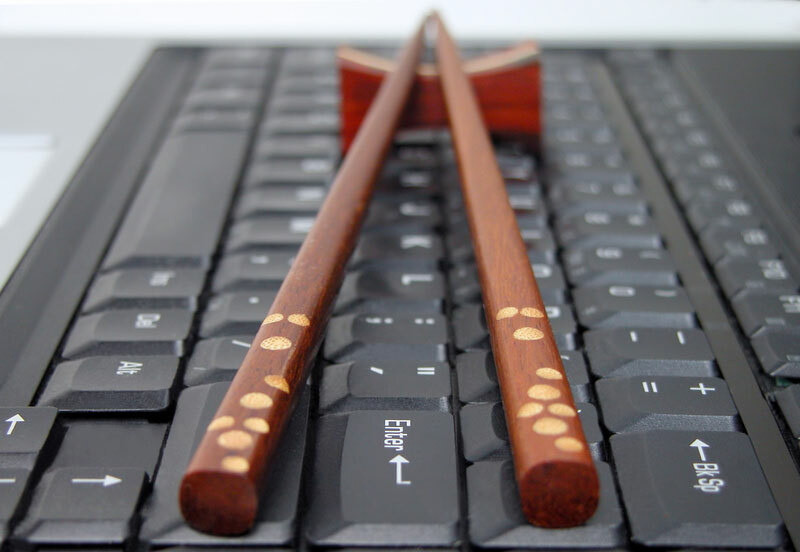 Don’t place your chopsticks pointing into the bowl – always place them horizontally on the hold provided. Dinner speeches and frequent toasts are standard, with locally produced wines or ‘bai jiu’ spirit the usual drinks for toasts. It is customary for toasts to be made by both sides during the meal. The Chinese generally like to give small and inexpensive gifts. It’s a good idea to bring small gifts with an Australian theme for your hosts and wrap them in colours such as red, yellow or gold, which are regarded as lucky in China. It is not customary for your hosts to open the gifts in front of you, unless you encourage them to do so. Chinese negotiators are shrewd and know that foreigners will be reluctant to travel home from China empty-handed. They are willing to stretch out discussions, which can wear their foreign counterparts down. Be sure that your interpretations of any business deal are consistent with theirs and that everyone understands their duties and obligations. Expect to encounter delays or frustration during your business dealings in China, but it’s important to remain patient and polite. 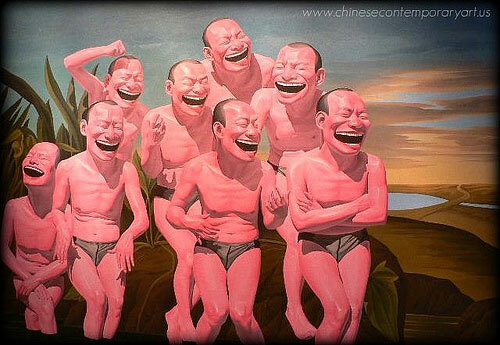 The Chinese don’t like to ‘lose face’ so losing your temper or showing frustration will only set you back. If you are beckoning to someone, motion towards you using your hand and palm pointed downwards – never palm up. Furthermore, don’t use your index finger or point when speaking. Try to speak with your counterparts in short, simple, and jargon-free sentences. Be aware that business in China slows down during the Chinese New Year – usually from late January to early February, and for periods such as National Day (1 October) and May Day (1 May). It’s best to avoid arranging meetings during these times. China's e-commerce companies may yet turn a logistical nightmare into a dream business opportunity. Massive government investment in road, rail and air infrastructure means that China's transport network is approaching developed-world standards. But the cost of moving goods from A to B remains high. Logistics costs as a percentage of GDP are around 21%, compared with 10% in the U.S. and 13% in India. 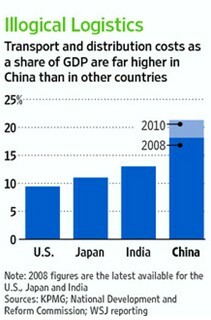 Part of that gap is explained by China's focus on manufacturing. But beyond that, the country has a fragmented system, high tariffs for road transport and multiple providers piling on fees. Even outside the manufacturing sector costs are high. A Chinese government investigation found that two-thirds of the retail price of vegetables represents logistics costs. And even though costs are high, service is often poor. Local logistics providers are famously slow and unreliable. Assuring end-to-end delivery of products across provincial boundaries is a real challenge. That's a particular problem for e-commerce companies such as Alibaba Group, 360buy and Joyo Amazon, which rely on guaranteeing delivery of goods from supplier to customer. The central government says it is committed to the development of a modern, efficient logistics network. But ambitious goals set in Beijing are running up against a difficult reality at a local level. Provincial governments benefit from local firms that contribute tax revenue, even if they are less efficient than larger national players. State-owned firms often run their own in-house transport and distribution services, reducing the size of the market for specialist logistics firms. For third-party logistics providers, working through the tangle of local regulation has proved difficult, if not impossible. Jeffery Wong of global advisory firm KPMG says even the bigger players remain mainly confined to provincial markets. But for e-commerce firms, the rapid growth in online sales is providing both motive and opportunity to get to grips with the problem. For Amazon in the U.S., efficient distribution has been the key to keeping prices low and gaining market share. The aspiration for e-commerce firms in China is to do the same. Online retailer Alibaba has invested in its own system of warehouses and is working with existing logistics providers to stitch together a national system, and 360buy is partnering with Wal-Mart to build a network. The rapid growth of e-commerce means that major players can take advantage of scale in their operations. On a single day in November 2010, Taobao Mall, the business-to-consumer arm of Alibaba's online empire, shipped 15 million packages. Building an efficient logistics system won't be easy, especially for e-commerce firms whose core competences lie elsewhere. But the Chinese market is wide open. For companies that can get it right, the solution to a business problem could turn into a driver of future profitability. “Compared to October last year, many cities have issued implementing rules for the PRC social insurance contributions by foreign nationals,” said Gordon Feng, chair of Paul Hastings’ employment law practice in Shanghai. Beijing, Chengdu, Qingdao, Suzhou and Chongqing have all issued local implementing rules requiring foreign employees to enroll in government schemes for pension, medical care, work-related injury, unemployment and maternity. With many of China’s foreigners residing in Shanghai, the city still maintains that contributions to the schemes are voluntary in the country’s most populated municipality. “It seems Shanghai is not interested in enforcing the Social Insurance Law against foreigners as it is keeping quiet about any implementing regulations and so far the enrollment remains voluntary,” said Feng. Hong Kong, Macau, and Taiwan residents were also part of the initial measures, but later removed as previous legislation required contributions from them. “The Ministry of Human Resources and Social Security already had regulations for Hong Kong, Macau, and Taiwan residents in place, requiring them to enroll in the social insurance system, but the enrollment was not mandatory in practice before October 15, 2011” said Feng. He believed HMT residents were later removed because otherwise the rules would have been redundant. 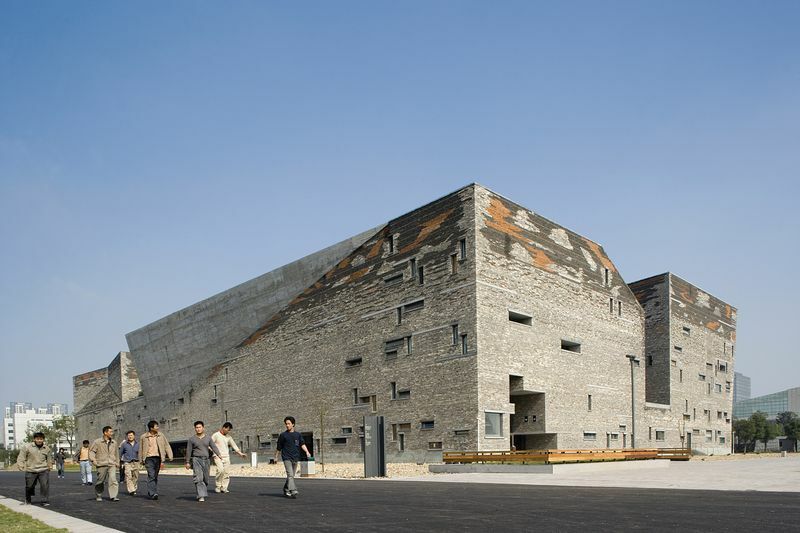 The southwestern city of Chengdu and the eastern city of Suzhou are two cities where contributions are mandatory. Despite the removal of HMT residents, Chengdu and Suzhou are unique in that their implementing regulations included HMT residents. “The Chengdu Circular and Suzhou Circular do not go against the Ministry because previous regulations required HMT residents to pay social insurance,” commented Feng. But what about enforcement? China is notorious for releasing measures where enforceability is non-existent. Despite repercussions of forced transfers from the social insurance administrative authority and interest fee penalties of 5% for non-compliance, there has not been any news that they have been enforced or companies employing foreigners chased for contributions. 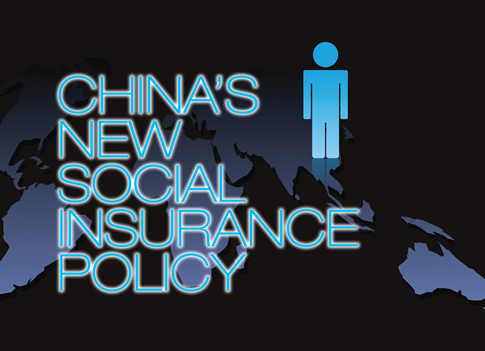 Social insurance for PRC nationals is a far greater problem in China. The social insurance centre does not have the energy or the appetite to go after foreigners. Foreigners are such a small percentage of the population compared to local residents, and the authorities already have a big problem dealing with nationals. Even though stories of enforcement or penalties have yet to surface, Feng always recommends his clients to follow local laws. Companies employing several foreigners need to be careful, as enforceability of the measures could increase at anytime. It remains to be seen which other municipalities will release circulars and whether Shanghai will require such regulations. All power within the government of the People's Republic of China is divided among three bodies: the People's Republic of China, State Council, and the People's Liberation Army (PLA). This article is concerned with the formal structure of the state, its departments and their responsibilities. 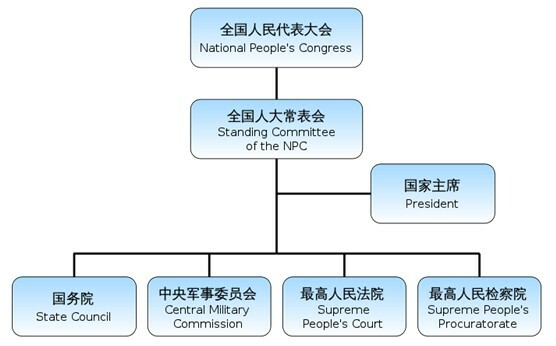 Most, but not all, positions of significant power in the state structure and in the army are occupied by members of the Communist Party of China which is controlled by the Politburo Standing Committee of the Communist Party of China, a group of 4 to 9 people, usually all older men, who make all decisions of national significance. As the role of the Army is to enforce these decisions, the support of the PLA is important in maintaining Party rule. Power is concentrated in the Paramount Leader, currently Hu Jintao, who heads all three bodies: He is General Secretary of the Communist Party and of the Central Committee, President of the People's Republic of China, and Chairman of the Central Military Commission. Recently, experts have observed growing limitations to the Paramount Leader's de facto control over the government. We will never simply copy the system of Western countries or introduce a system of multiple parties holding office in rotation, although China’s state organs have different responsibilities, they all adhere to the line, principles and policies of the party. The primary organs of state power are the National People's Congress (NPC), the President, and the State Council. Members of the State Council include the Premier, a variable number of Vice Premiers (now four), five State Councilors (protocol equal of vice premiers but with narrower portfolios), and 29 ministers and heads of State Council commissions. During the 1980s there was an attempt made to separate party and state functions, with the party deciding general policy and the state carrying it out. The attempt was abandoned in the 1990s with the result that the political leadership within the state are also the leaders of the party, thereby creating a single centralized focus of power. At the same time there has been a move for having party and state offices be separated at levels other than the central government. It is unheard of for a sub-national executive to also be party secretary. This frequently causes conflict between the chief executive and the party secretary, and this conflict is widely seen as intentional to prevent either from becoming too powerful. Some special cases are the Special Administrative Regions of Hong Kong and Macau where the Mainland Chinese national laws do not apply at all and the autonomous regions where, following Soviet practice, the chief executive is typically a member of the local ethnic group while the party general secretary is non-local and usually Han Chinese. Under the Constitution of the People's Republic of China, the NPC is the highest organ of state power in China. It meets annually for about two weeks to review and approve major new policy directions, laws, the budget, and major personnel changes. 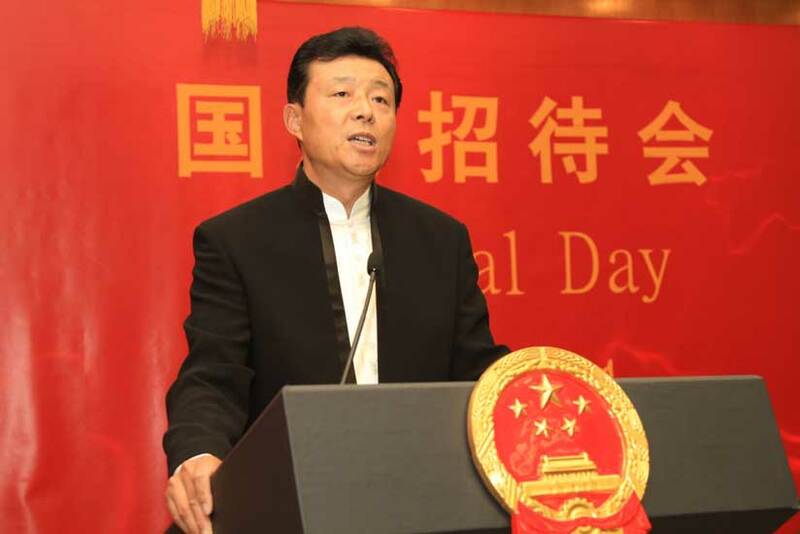 Most national legislation in the PRC is adopted by the Standing Committee of the National People's Congress. Most initiatives are presented to the NPCSC for consideration by the State Council after previous endorsement by the Communist Party's Politburo Standing Committee. Although the NPC generally approves State Council policy and personnel recommendations, the NPC and its standing committee has increasingly asserted its role as the national legislature and has been able to force revisions in some laws.